How deep is it to bore water at my house? 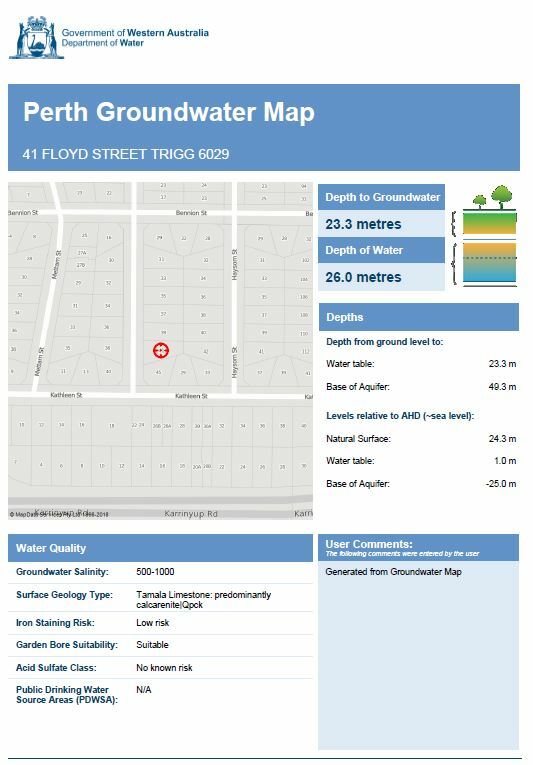 If you live in the Perth metropolitan area the depth to water is available readily online via the Department of Water’s Groundwater Atlas for most suburbs. clicking on the Groundwater Atlas here. A bit of help if you’re using the Groundwater Atlas yourself. Enter your address in the search field and you should get a summary result like this. Note that if you click the orange circular icon on the blue band you will download a PDF report with more detailed information about the depth to water and predicted bore water quality beneath your house. 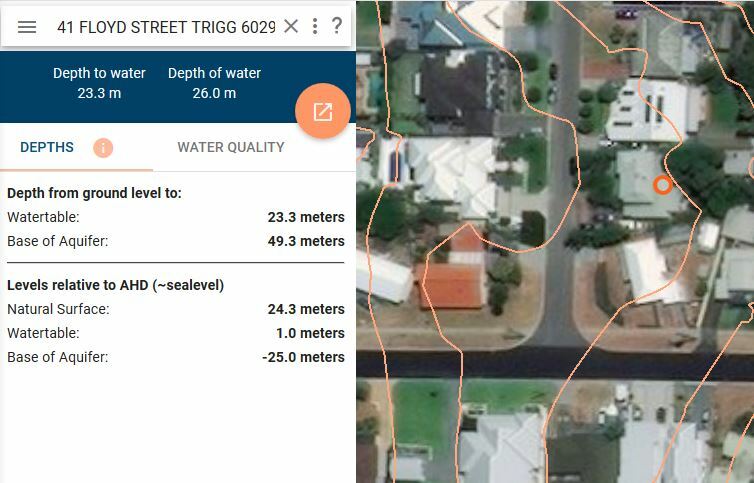 If your house is not listed or you have difficulty using the Groundwater Atlas feel free to call Virgin Bores for help on 9246 0111 or send us an email with your water depth request and we will get back to you. We use this online tool, along with our own extensive in-house data, to determine what depth to drill new garden bores to. The depth to water in Perth is sometimes also called the depth to the watertable, the static water level, the groundwater level and the aquifer depth. We also have a comprehensive database of ground conditions, limestone, sand, clay etc all over the Perth metro area. How deep does my water bore need to be drilled? 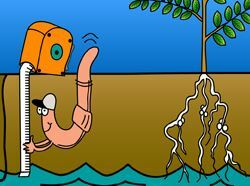 Submersible garden water bores are normally drilled 12 metres in to the water table in the Perth metro area. Knowing the depth to water allows us to accurately quote new water bores in advance. You can request a water bore quote online here. The Perth Groundwater Atlas is maintained by the Government of W.A. Department of Water and Environmental Regulation.